OSS Cub3d Returns to Americas Cardroom August 5th with $10 Million in Guarantees. Just one month after ACR hosted a Bigger Online Super Series, Americas Cardroom is going even bigger. The US facing online poker site today announced that their next OSS Cub3d tournament series will be held from August 5th,2018 through September 2, 2018, featuring $10 million in guarantees and three individual $1,000,000 online poker tournaments. 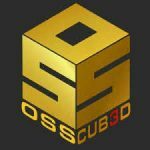 The OSS Cub3d is Americas Cardroom’s 3-part online poker tournament series, made up of the small stakes Mini Online Super Series (MOSS), the flagship Online Super Series (OSS), and the high roller Bigger Online Super Series (BOSS). The BOSS has a $1,000,000 GTD on September 2nd at 1pm ET ($2,100 buy-in). As a bonus, ACR will add another $1,000,000 GTD tourney on September 2nd at 3pm ET ($540 buy-in). Also included are three poker leader boards — one for the MOSS, OSS, and BOSS. The winner of each will receive an $8,000 Live Cage prize package. Each poker package includes the Live Cage buy-in, accommodations in beautiful San Jose, Costa Rica, and money for travel and spending. For more information on the OSS Cub3d, and a free poker satellite entry, visit AmericasCardroom now.